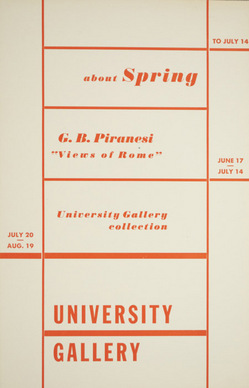 Since the founding of WAM as the University Gallery in 1934, students at the University have been provided with several opportunities for direct exposure to art. 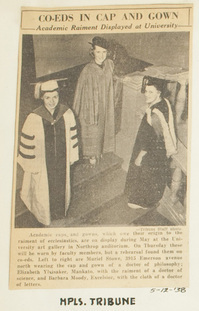 In the early years – after completing their rigorous studies – students could climb the several flights of stairs in Northrop Auditorium to visit the latest exhibit displayed in the gallery or flip through the pages of an artist’s biography while relaxing in the Fine Arts Room. 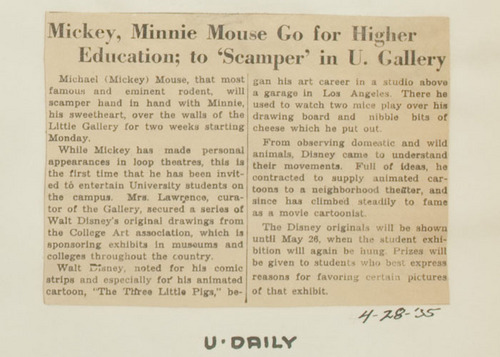 They could even return to their own dormitory to gaze upon a print that they rented for 25 cents from the gallery’s student loan collection. 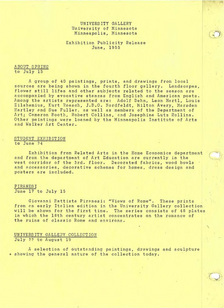 In May of 1938 the University Gallery loaned more than 40 color prints from the student loan collection (a collection of print reproductions that students could rent to decorate their rooms) to be exhibited at secondary schools in the Twin Cities. 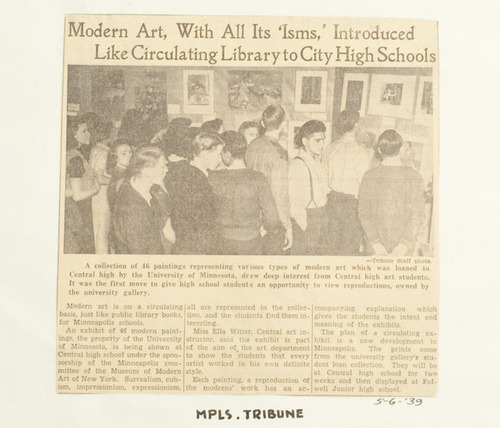 In collaboration with the Minneapolis committee of the Museum of Modern Art (MOMA) in New York City, modern prints from within the gallery’s student loan collection were displayed first at Central High School and later at Folwell Junior High School in Minneapolis. 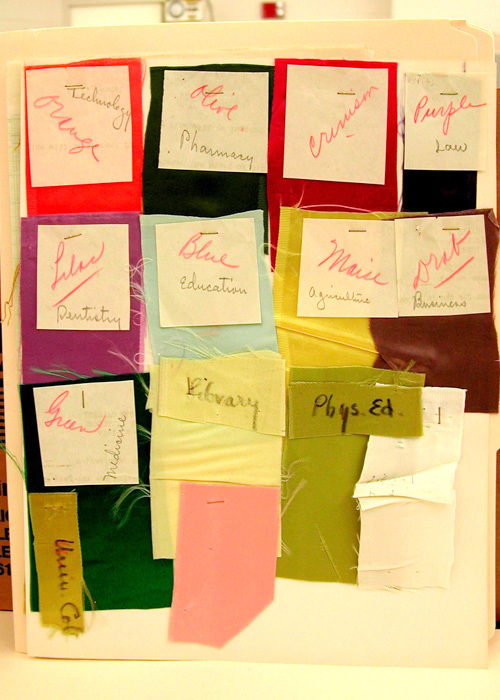 The prints were selected by Ruth Lawrence, gallery curator, and Miss Ella Witter, art instructor at Central High School. 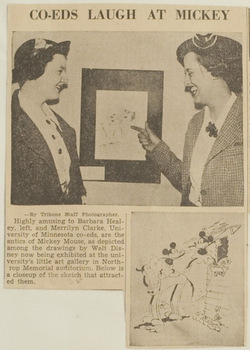 The exhibit was intended as an introduction to modern art for high school students and included reproductions of the works of Kandinsky, O’Keeffe, Picasso, Matisse, Renoir, Cezanne, among others. 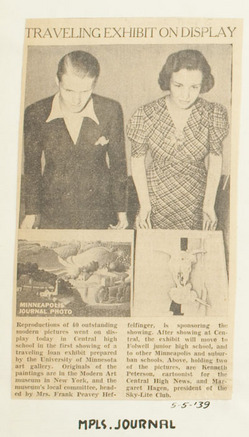 You may notice on the images from the press books that the notations next to the clippings state 1939 and not 1938. 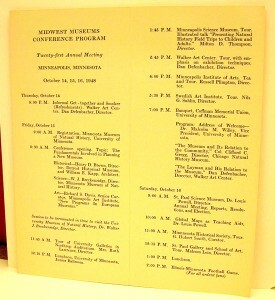 To get down to the bottom of this matter of year, I headed to the Minnesota Daily’s PDF Archives. 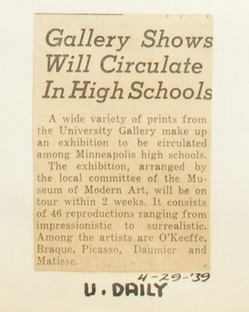 On page 2 of the April 29, 1938 edition of the MN Daily the article,” Gallery Shows Will Circulate in High Schools” is found. The heading of the press book page indicates 1938 as well. 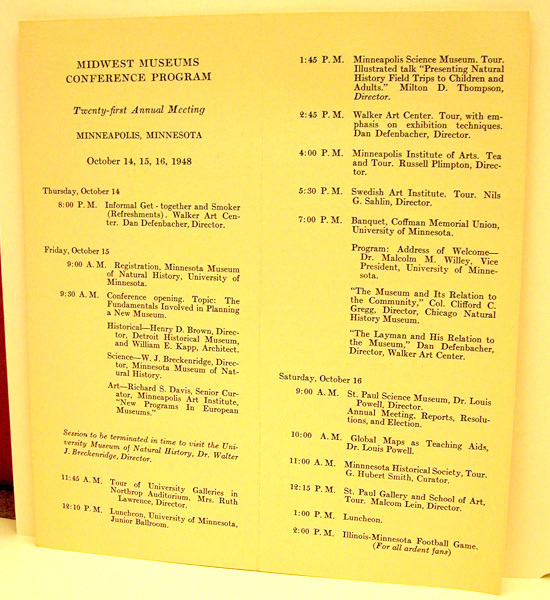 *For a history of Minneapolis public schools, visit the Minneapolis Public Schools online historical archive, which has hundreds of files and photographs that document the history of the school district.